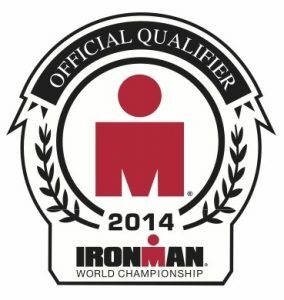 Now that 2017 is officially under way, I wanted to share a post about what it takes to qualify for this iconic race. Almost every long course triathlete watches the coverage of the race every year and most say “I’m going to get there someday” and dream of some day racing in Kona. With that, it sure isn’t getting any easier to qualify. When I first got into this sport, some of the bigger races offered 100+ qualifying slots. 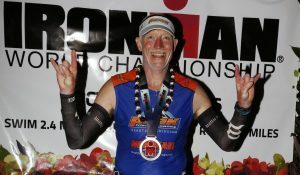 However, those number continue to decrease as Ironman adds more and more races. There are now the regional championship races with 75, but most races only have 40. Even the drop for 50 to 40 has made a big difference for those people right on the cusp of qualifying. There are also more well trained athletes out there these days shooting for the reduced number of slots. 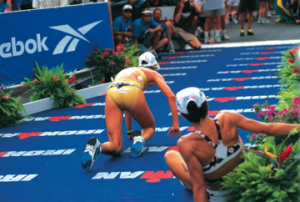 If you’re serious about qualifying for Kona, I challenge you to ask yourself if you really have what it takes. If you don’t think you meet the characteristics listed below, you may want to consider trying to find a new goal (which is ok!). Let’s jump into it. I hate starting with this, but I wanted to start with the less important characteristics and build to the important ones. With that being said, you have to have the right equipment. The right wetsuit for you will make you faster. The right bike, aero position, race wheels, aero helmet, etc. all come into play and have an impact on your bike split. It is certainly the engine that’s pushing that bike that matters most, but those types things do matter. The right shoes, socks and sun protection can also be critical in many races. Yes, these things can get very expensive, but these days, you need to have every legal advantage you can if you want get to the big island. Experience goes a long way in this sport. We live in a “I want it NOW” society and for most people, its going to take years of dedication and hard work to develop into the level of athlete that can qualify. Long course racing experience will help your both mentally and physically prepare for getting the top of your age group. However, luck and who shows up can come into play. I hear some people say, there is no such thing as luck or I don’t need “luck,” but I’ll take as much luck and good fortune as I can take! I wanted to win IM Maryland in 2015, but it didn’t happen due to a flat tire. Is it possible to battle through diversity like that and still KQ? Absolutely! However, things need to go right out there for most of us in order to place well enough to qualify. The competition is just too fierce these days. Which brings us to another challenge that is somewhat out of our control. While you can see start lists of who is racing a particular race, you never really know which competitors are going to show up or what kind of shape they’ll be in. More importantly, it is extremely challenging to even know how many slots are going to given allocated to your age group. While there is typically around x number of slots given out to each age group, that depends on how many people actually start the race in each age group. In some of the larger age groups, that could mean a swing of a slot or two, potentially more! Coaches Tip: Forget about the competition! If you’re reading this blog, you will have your best race when you race YOUR RACE! Too many people get caught up in what other people are doing. They have people tracking their age group for them and telling them their 10+ minutes down heading into the marathon so they run 30 seconds faster per mile than they should be running, completely fade, and walk the 2nd half of the marathon resulting in a horrible finish. Stick your guns/strategy, race your race, and let the cards fall where they will. I have proven this numerous times in long course races where I rarely come off the bike in the top of my age group, but head out on the run at the correct pace for me, negative split the marathon, and crush my competitors dreams when I cruise by them in the last 10K as they’re totally struggling or walking. This can be overcome for sure, but having an athletic background and some God given talent is very close to essential if you want to complete at the world’s biggest stage. While there are some athletes competing in Kona that are not lifetime triathletes, a good portion of these athletes have been life long athletes. 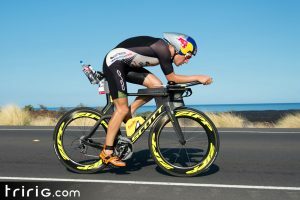 You can argue that triathlon does not require as much athleticism at some other sports, but I cannot recall speaking to another Kona qualifier that did not have some athletic background and grow up as some sort of athlete. Especially for the non lifetime swimmers, it takes a lot of coordination and the ability to properly control your body if you want to learn how to swim well enough to qualify. Its no coincidence that almost all Kona qualifiers are very slim and have proper body composition. As a coach, this is one of the most challenging and sensitive topics for me to address with my clients. 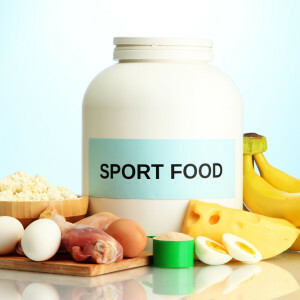 I used to ignore this topic with my clients due to the fear of misguiding them or causing harm to the athlete’s health. However, I have realized I am doing them a disservice if they are overweight or need to alter their body composition to be at their best. This needs to be addressed very carefully and strategically, but it is a key variable that has to be on point if you really want to race at this level. My tips to helping achieve this? Set Goals and work to gradually improve on your composition. I recommend weighing yourself 1x a week at the same time each week. There is no need to weigh in every day and you have to keep in mind that your weight can fluctuates 5+ pounds every day. I prefer to do mine on Friday mornings and recommend my clients do the same. Working with a good dietician or nutritionist can be extremely helpful in improving on this area. You have to be able to HURT out there on the course if you want to by successful. Ironman is an extremely mental sport and you have to have the ability to use tremendous mental strength to keep pushing through the pain and hurt (which is different than an injury) when you’re out there on the course. As the race progresses and your body physically breaks down, your ability justify the pain and keep pushing through it all the way to the finish line is critical. In most cases, that only gets harder and harder to do as you get deeper and deeper in to the race. If you’d don’t have the ability to keep battling through that, you can most likely kiss qualifying good bye. This mental strength and ability to hurt is a skill that can be learned, but it all comes from experience and ultimately passion. Race day fueling is extremely important and that has to be dialed in for sure, but it’s your everyday eating habits that are the foundation of whether your race day fueling works for you. When I first got into triathlon, I used to eat whatever I wanted and justified because I was training every day. However, I would always end up with cramps and GI issues on race day. It wasn’t until I really started focusing on my daily nutrition and ultimately working with an amazing nutritionist (Leslie Why) that I was able to eliminate this problem. I learned so much from my nutritionist and that effort really paid off for me. This will not only helpful you perform at your best on the race course, it will also help you in essentially every other aspect of your life. So if you’re not working with a sport focused (ideally Ironman focused) nutritionist, which is probably not a nutritionist at the local Jenny Craig, look into it. For a while I thought I was doing it right on my own, but I was way off with a few things. Another critical factor in your overall health is the amount of sleep you get every night. As our lives continue to get busier and busier, sleep is typically the best thing we reduce when we’re busy. While ultimately we should be doing the opposite and sleeping more if we’re very busy every day, it is typically the first thing we’ll cut when we do not have time. While proper eating habits, foam rolling, recovery boots, etc. are very helpful in our recovery, there is no substitute for sleep. For most people to achieve this, they need to be sleeping 8 hours consistently. Getting these 8 hours around the same time every day (i.e. going to be at 9pm every night and getting up at 5am) is crucial. Our bodies like consistency and while some of us are forced into fluctuating sleeping patterns, getting a consistent routine with your sleep is what will put you at your best. If you’re getting sick all the time, constantly battling an injury, or just don’t train consistently, you need to take a look at your general health and habits. Overtraining can certainly come into play here, but clearly you’re off in some aspect of your life and your body is trying to tell you something. If it critical that you figure this out as I highly doubt you will be able to race at the level it takes to qualify if you do not. There are no shortcuts in triathlon. While being efficient and effective with your training is critical, the best coach in the world isn’t going to be able help you KQ if you’re not willing to put in the work every day! While I truly believe there is more to life than triathlon and you need to find a happy balance if you want to perform at your best, the best athletes in the world put in the work consistently. That doesn’t mean going all out everyday, but they have the dedication and ability to be consistent with their training. While a lot of people can do this on their own and no one knows your body better than you do, a good coach can be critical in helping you achieve your goals. What I find most valuable from my coach is an outside perspective. As a lifelong athlete that was part of competitive teams for 20+ years, I was used and to ultimately enjoy being told what to do. Good coaches can also be huge confidence builders as they can help you reassure you’re doing the right thing to obtain your goals. This is most important requirements of all. While this category could fall under dedication, you probably won’t find the dedication and consistency you need without having the drive, motivation, and passion. In order to be able to put in the time it takes to train day in and day out and race to your potential, you must have tremendous drive, be strongly motivated, and be fueled by passion. Having these 3 traits will lead to the discipline to get your training, recovery, nutrition, sleep, etc. all dialed in. Without passion, you won’t push yourself in training when you need to, have the motivation to go to bed early, like 8pm early so you can be up at 4am to get your training in before the kids are up. I do not expect any of these concepts to be ground breaking, but putting it all together is TOUGH and is much easier said than done. Being able to follow these guidelines day in and day out potentially for years is more than many people can handle. However, that’s what will typically separates the qualifiers from the wannabees. If you’re serious about qualifying, give yourself and honest evaluation and recognize if this is the right goal for you or not. 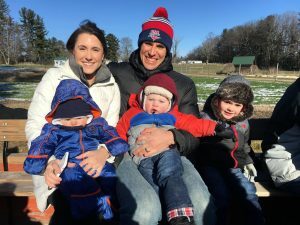 As a guy turning 35 later this month that has 3 boys (4 year old, 22 month old, and 6 month old), a desire to remain happily married, a growing coaching business, and a full time job, this isn’t something that is realistic for me right now. I would love to race in Kona every year, but its important that we’re realistic with our expectations. I will be back there someday! In the meantime, that does not mean I am not tremendously driven to help some of my clients achieve this dream and qualify for Kona. Peak has successfully been sending athletes each year since 2012. I plan to have that trend continue and can’t express how much pleasure I get out of seeing my clients achieve their goals. This entry was posted in , Colin Cook, Uncategorized. Bookmark the permalink. 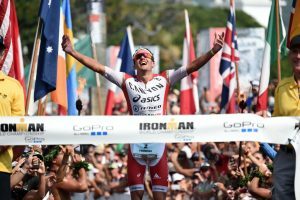 ← Kona 2016- Getting It Done for the 4th Time!